I am excited to announce that CSN Stores is offering a $50 gift certficate to one lucky reader of my blog...woot woot! :) Everything under the sun, from dishes and dining room tables to pet and office supplies, is available at CSN Stores. They also have free shipping on just about everything (some exclusions apply). Gotta love that! 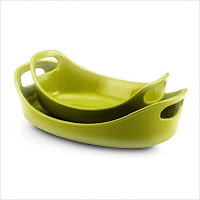 Some of my favorite products that I found while browsing the website were the Green Rachel Ray Bubble and Brown Stoneware Bake Set, Alessi Pino Funnel (how fun!?! 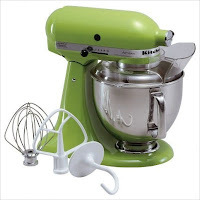 ), and of course the KitchenAid Artisan Mixer in Green (every lady who bakes NEEDS one of these LOL). Did you know that I love, love, love to bake? It's true...I do. My grandma was an excellent baker, and she really taught me a lot while she was still alive. I can't help but feel closer to her when I am in my kitchen. I have been thinking about blogging about baking once in awhile. What would you think of that? 1) Comment on this post. 2) Blog about this giveaway with a direct link back to this post. 3) Be a follower of my blog or become a follower by clicking on the "follow" link in my sidebar. Remember...there are up to 3 chances to win. Please leave a separate comment for each chance. would love to win! what a great giveaway! What a great site and giveaway! So many things I'd love to have. Thanks for sharing! What a generous giveaway! I would love to see some blogging on baking as I do a little cake decorating here and there myself. Another CSN giveaway! So generous! I love CSN stores. Thank you so much for the awesome opportunity to enter my name . 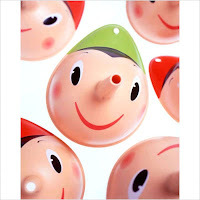 I am following your blog via Google Friends Connect. WOOHOO!!!!! I LOVE giveaways!!! You a good baker?? must run in the Family :P The Kocourek's had a baker in South O for awhile in the 30's I think. Thanks for the chance to win!!!! Wow would love to win a gift card. Thanks for the chance.